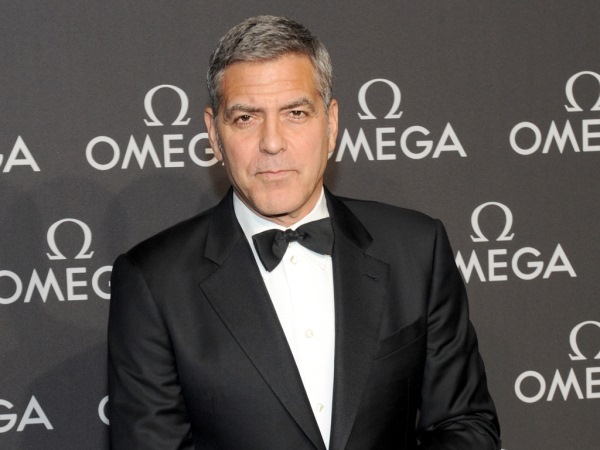 George Clooney says being beaten up by Hugh Laurie was "fun". The actor takes the lead in Tomorrowland, a film about how bright the future could be. As it's a Disney movie, there of course had to be a baddie around to stir things up. This time he was played by Hugh, with George's character taking the brunt of a fight scene. "I trained for a matter of minutes because I had to fight another old TV doctor," the 54-year-old joked to the British edition of OK! magazine, referring to Hugh's role in series House. "I thought I was just going to be beaten with a cane the whole time! I think that was our great stunt, wasn't it. "It's funny because when I was in my 30s, I used to get to punch somebody and then walk away with an explosion behind me, but now I've got to the point in my career where I just get the hell beaten out of me and then fall down and cry. I mainly just had to get beaten up by Hugh Laurie, which was great fun for me!" Tomorrowland is about an optimistic young girl who is in touch with the future thanks to a magic pin. This sense of positivity also rings true in George's real life, especially now he's married to wife Amal. "I've always been very optimistic and I've had a very lucky life," he smiled. "I've been able to do so many things that I never even imagined would be possible. It's a very good time in my life and I'm having a wonderful time."